25 Feb-19 Feb 2017. Described as a selection of the "most magnificent items" of the Bodleian Libraries, this exhibition features treasures including J. R. R. Tolkien's illustrations from The Hobbit, Mary Shelley's working draft of Frankenstein, the Bay Psalm Book (the first book printed in British North America) and the Shikshapatri, a venerated book of Sanskrit religious verses. The items are displayed in 24 pairs, contrasting various themes and juxtaposing ancient with modern. Mon-Fri 09.00-17.00, Sat 09.00-16.30, Sun 11.00-17.00. 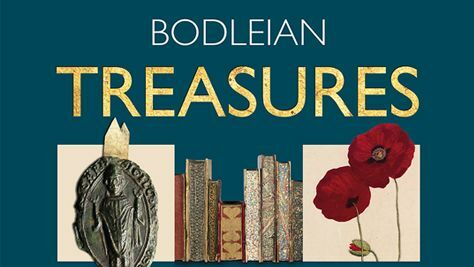 Address Bodleian Library, Old Schools Quadrangle, Broad St, tel. +44(0)1865277224. Bodleian Library, Old Schools Quadrangle, Broad St, tel. +44(0)1865277224.